Neon, argon, krypton, xenon and their uses, from the blinding light of the arc welder's torch to the dying trade of the neon sign-making. Neon, argon, krypton and xenon are unreactive gases. Laurence Knight investigates their uses, from the blinding light of the arc welder's torch to the dying trade of the neon sign-making. Professor Andrea Sella explains how an alumnus of his home University College London - Scottish chemist Sir William Ramsay - uncovered an entire column of the periodic table containing all of these unreactive gases. 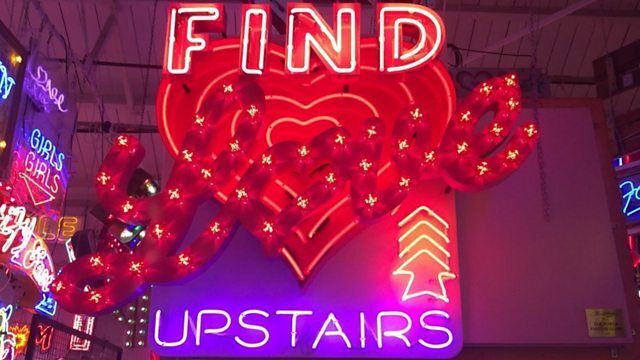 Neon sign-maker Graham Cox shows how to bring colour and light to the dingiest of corners, while neon artist Marcus Bracey welcomes us to his gallery, God's Own Junkyard, where he insists the future for these gaseous elements remains bright.